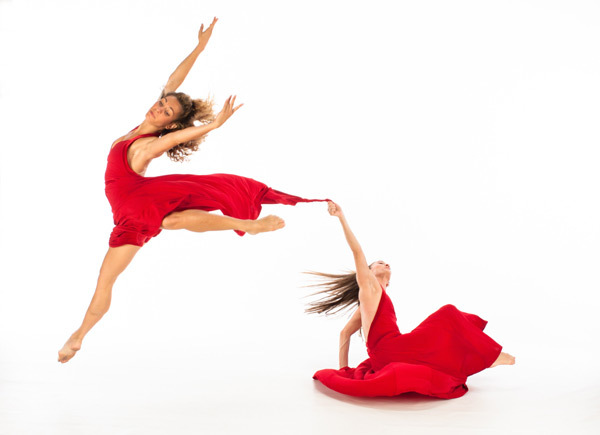 With performances on PBS’s “Dance in America” series, France’s Antenne II, and Italian RAI television, the company’s repertory has been broadcast to 55 countries. Joining the Montreal Symphony in the Rhombus Media film of Mussorgsky’s Pictures at an Exhibition, winner of an International Emmy for Best Performing Arts Special, the company’s performance was distributed on laser disc by Decca Records. MOMIX was also featured in IMAGINE, one of the first 3-D IMAX films to be released in IMAX theaters world-wide. MOMIX dancers Cynthia Quinn and Karl Baumann, under Moses Pendleton’s direction, played the role of “Bluey” in the feature film FX2; and White Widow, co-choreographed by Moses Pendleton and Cynthia Quinn, was featured in Robert Altman’s movie, The Company. Participating in the Homage a Picasso in Paris, MOMIX was also selected to represent the US at the European Cultural Center at Delphi. With the support of the Scottsdale Cultural Council Scottsdale Center for the Arts in Scottsdale, Arizona, Mr. Pendleton created Bat Habits to celebrate the opening of the San Francisco Giants’ new spring training park in Scottsdale. MOMIX has been commissioned by corporations such as Fiat and Mercedes Benz, performing at Fiat’s month long 100th Anniversary Celebration in Torino, Italy and Mercedes Benz’s International Auto Show in Frankfurt, Germany. With nothing more than light, shadow, props, and the human body, MOMIX has astonished audiences on five continents for more than 30 years.